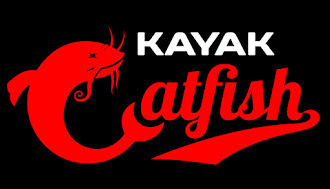 In my previous post, I poked a little fun at the kayak fishing industry over how every year we get a new "game changer" that is "epic" and will "revolutionize" how we fish. While that post was meant to be sarcastic in nature, there was a lot of truth to it. Companies invest a lot of money in marketing schemes that they hope will help separate us from our hard earned cash. This isn't exclusive to the fishing industry. The fact is all companies use these tactics. It is said that we are exposed to over 5,000 advertisements each day. Look closely and you will see some on this blog post. The goal of any good marketing strategy is to make us feel as if we "need" a particular product and that our lives would be so much better if we bought whatever it is that they are selling. Sometimes the product being sold will actually improve our lives and make us happier. Most of the time though, our level of happiness returns back down to baseline shortly after the buyer's high wears off which could be within a few minutes to a few days depending on the product. My current kayak, the Hobie Outback would be the number one contender. I really enjoy fishing out of it so naturally the newest model of the Outback would be at the top of the list for me to consider. The Outback is what I consider a "jack of all trades" type kayak. The mirage drive allows you to navigate skinny water as shallow as a few inches but yet the kayak is fully capable of going offshore. It can handle almost anything you throw at it. Another advantage is that I already know exactly how I would rig it out. The next kayak I would want to demo would be the Hobie Revolution 13. While the trend with fishing kayaks seems to be going wider and more stable, I actually prefer the feel of fishing out of a kayak. The slightly unsteady feeling you get when a big fish slams your bait in a kayak is what I love most about kayak fishing. Going to a slimmer kayak like the Revo 13 is very appealing to me. The extra speed would also increase my range. The Old Town Predator PDL is another kayak I am intrigued by. I actually owned one of the older model Native Ultimate propel kayaks a few years ago and didn't care for the bicycle motion pedals. I do like the design and layout of the Predator PDL though so I would be interested in at least demoing this kayak. The seat gives you extra elevation which will add to all day comfort on the water. It also has a ton of floor space and in-hull storage. While I didn't care for my old Native Ultimate Propel, Native has since made changes to the propel drive and the adjustability of the seat in their newer kayaks. I can only imagine this has made it a much more comfortable platform to fish from. The Native Slayer Propel 10 appeals to me because of it's size and weight. Being smaller and lighter weight, car topping would be a much easier process. It is also plenty stable enough to stand in and offers lots of in-hull storage. If I went back to a paddle kayak, the Jackson Kraken 15.5 would my first choice. I love the layout of this kayak. It has a ton of in-hull storage space and its sleek design makes it a very fast paddling kayak. I actually demoed this boat back in the spring. It would be hard to give up pedaling, but if I ever did, this would be my top choice. I am glad your first choice is the Hobie Outback. Thats our choice too. We are getting two 2018 Outbacks from ACK in Spring Tx next month. Hope to see you out on the water someday. Enjoy those new Outbacks! I bet you will catch a lot of fish in them. Thanks for visiting this site. Have you considered the new Jackson Coosa FD? Would be interested in your thoughts. Steve, I have seen the new Jackson Coosa FD in person but haven't pedaled it. I like that you can run into submerged objects without the fear of doing damage to the drive and I love that you don't have to remove it for transport. The kayak also has plenty of in hull storage which is something I value. Overall though, it isn't a kayak I would probably ever consider. The $2999 price tag puts it up above the Hobie Outback, Native Slayer and Ultimate Propel, and the Old Town Predator PDL and I haven't seen enough from it to justify the extra cost over one of those models. That is just my opinion so take it with a grain of salt. Thanks for stopping by my blog. Thanks Justin, I am surrounded by many small rivers & lakes in Northern Ohio. The retractable drive seems like it would be ideal in those settings. Only the mirage drive seems like it might compare. For now, both are out of the budget. Still I keep an eye on what's out there.